Cheap non-stop flights from London to Qingdao, China from £360! USA – Cheap return flights from Brussels to sunny Miami from €300! Cheap flights from Switzerland to Australia or New Zealand from €495! Another interesting non-stop solution from London to China these days this time you can consider to use direct service of Beijing Capital Airlines (Low-cost subsidiary of Hainan Airlines). and book cheap non-stop flights from London Heathrow to Qingdao. Return flights are available from £360 incl. all taxes and checked bag. Qingdao is the largest city of Shandong province and major seaport on the east coast of China looking out to the Yellow Sea. 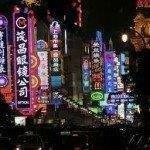 Want to visit one of the fastest growing cities in China do not miss this promo sale. Not only that this is the only non-stop solution from the UK this is currently also the cheapest offer on this route. Beijing Capital Airlines sale is valid for flights departing from the UK to China between 16th of April and 15th of June 2018. Latest date of your inbound flight from China back to London has to be on 22nd of June. You can compare your accommodation in Qingdao vai servers such as Booking.com or Hotels.com. Promotion is available till end of April or until the cheapest seats last..
Booking sample of Beijing Capital Airlines promotion offering cheap non-stop flights from London to Qingdao, China from £360 below. You would depart from London Heathrow to Qingdao on 14th of May. Your inbound flight from China back to the United Kingdom then on Friday, 25th of May 2018.